Most high school graduates are excited for college because they’re free from the pleated skirts, neckties, polos and slacks; aka uniforms – and are finally able to express themselves more by the way they dress up. Frankly speaking, that was one of the things I looked forward to in entering college. As mentioned in my first Fashion Friday post, I keep an “OOTDiary” to keep in track of what I wear to make sure that I don’t repeat clothes. 1) Flats – Your tootsies’ best friend for your whole stay in the university! You’d be doing a lot of walking, ascend and descend floors and even commute to your assigned buildings! College may be a good opportunity to express yourself through your style, but your pumps would rather not strut the pedestrian lanes and university grounds. 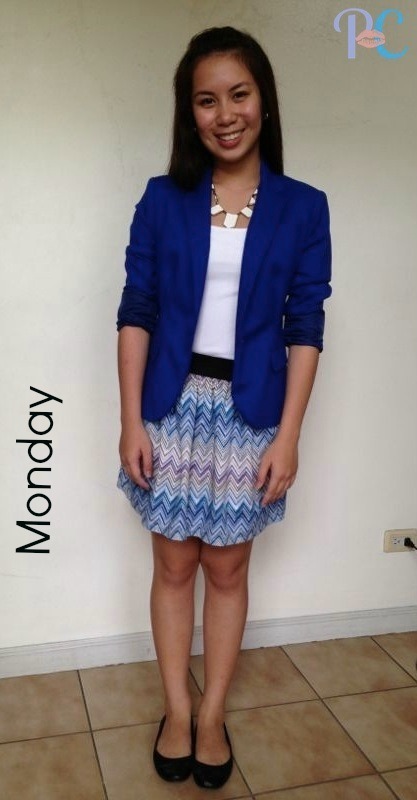 2) Blazers – Give your professors and blockmates that smart, sophisticated impression. This also serves as an instant protector from the blazing rays of the sun when your next class is in the other side of the school. 3) Sheer tops – The simplicity of the top makes you appear chic without sacrificing beauty and style. Sheer tops are perfect items for you to remain cool thus makes it breathable for your skin especially with the Philippines’ tropical weather! They match with practically anything! 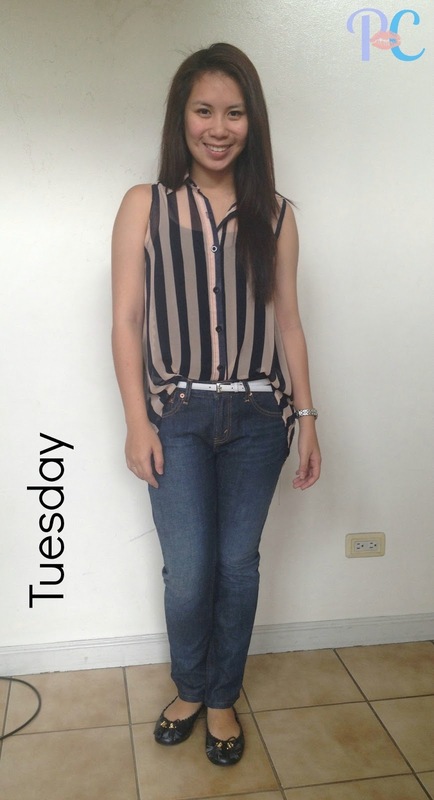 Note: This top I’m wearing is different from the one I wore in the previous Fashion Friday post. This one’s in grey, the other in lavender! 4) Jeans – Just a staple in a college student’s closet. Like sheer tops, they’re breathable and can be matched with anything. Work those apple bottom jeans! I love how you list all the must-haves with perfect descriptions. Good luck in your studies!